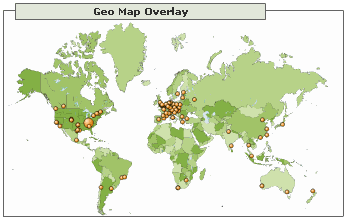 Would anybody be interested in setting up a map of PopTray users using http://www.frappr.com/ ? This web site uses Google Maps and allows people to add their location and a greeting/picture. I would set it up myself, but I would think KY Dave or Renier should be the ones controlling it. (the administrator can remove unnecessary or erroneous information). Last edited by rsleegers on Sun Nov 20, 2005 12:19 am, edited 1 time in total. I followed your suggestion and have created a PopTray Users group at FRAPPR. It is voluntary, so users should not have a problem with it as they can choose to join or not join. Here is the FRAPPR LINK to the group. Last edited by KY Dave on Thu Dec 01, 2005 10:53 pm, edited 1 time in total. After some trial and error, I eventually figured out the exact city syntax required.......so I'm also on the map. I have enjoyed looking at the area of each users home town. I realize that the map doesn't place our markers in the exact location, but it's near enough to see what part of the planet they live. This is very informative for me. It's amazing, to me, that we have come together as a group from vastly different parts of the planet. I hope more users will add their marker. KY Dave wrote: I hope more users will add their marker. ComputerBob wrote: I'm just explaining why I won't be adding my marker to frappr. Understanding Bob's concerns - I tend to share them - as far as I know we are a long time dead so a little risk may not hurt! BTW: an email adress had to be provided. The tool didn't accept me without.